These are articles about Eco-conscious green condo buildings. Wednesday, February 5th, 2014 at 2:40pm. With the amount of available downtown urban property available growing smaller and smaller, some predict that there will be an increase in high-rise buildings in suburban areas. There were some suburban areas that sprung up with high-rise and mid-rise buildings as a solution for affordable housing in the suburbs in the 1950’s and 60’s, but the needs of communities and resources have changed drastically from that time. The evolution of urban planning will bring a new approach to the future of high-rise development as we continue to grow in population requiring new housing to be built. Monday, July 15th, 2013 at 1:21pm. Wednesday, June 26th, 2013 at 2:33pm. Every once in awhile, an architect catches our eye with incredible unique design. 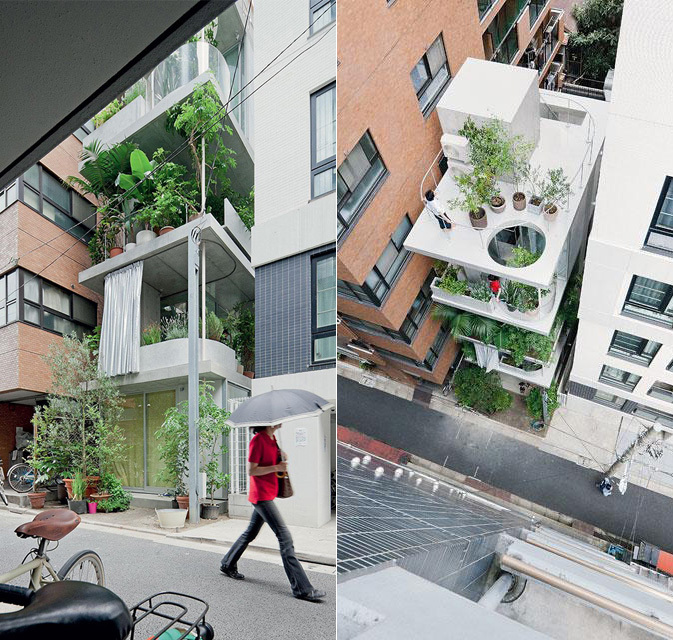 Ryue Nishizawa designed this “Garden House” in Tokyo. 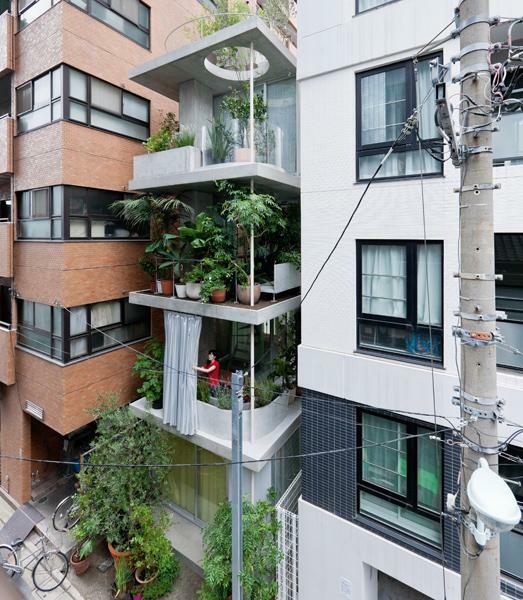 Ditching the typical concrete facade Ryue lines the exterior with plants so much so that a person walking by might think it is a a sort of mysterious magical high rise garden. Inside the “Garden House” plants separate rooms and amenities to blend the indoor and outdoor experience. Wednesday, May 22nd, 2013 at 3:31pm. A new study by the European Journal of Epidemiology shows that residents who live above the 8th floor are 22% less likely to die early. The research shows that two major illnesses, lung disease and heart disease are lowered once people live above the eighth floor. So start living a healthier life and Search for a High-Rise Condo now! Friday, February 1st, 2013 at 2:07pm. Wednesday, January 2nd, 2013 at 3:04pm. Following a trend nationwide, we predict highrises to continue to build condos which follow the latest green standards and renovate current buildings to become more energy efficient. According to Pike Research, solar cells integrated into rooftops, windows and other building facades is poised to quadruple in value in the next five years. Innovative practices of design in the past have now become expectations for home buyers. 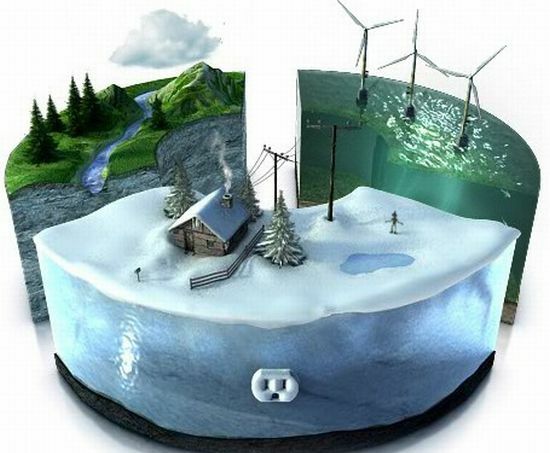 As Gen X and Gen Y’ers enter the market, they are making careful choices of low waste and energy efficiency.